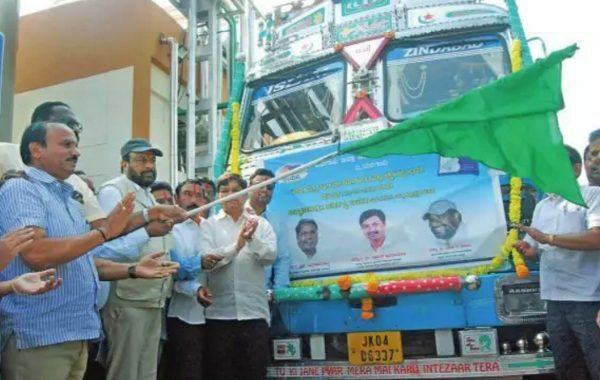 The first truck carrying milk sachets from the Belgaum District Co-operative Milk Producers’ Societies’ Union Limited of Karnataka Milk Federation was flagged off by Union chairman, MLC Vivek Patil. KMF’s Nandini brand is being sent to Jammu and Kashmir and it takes 3-4 days for the consignment to reach the northern state.Milk sachets in the sizes of 180ml, 200ml and 500ml are sent to Jammu and Kashmir. The milk procurement by the Union has reached 2 lakh litres. The milk is now packed at the newly installed Flexi pack unit established here in Belagavi at a cost of 22 Crores which has machines installed from Finland. Previous articleOh! These Golden Days!